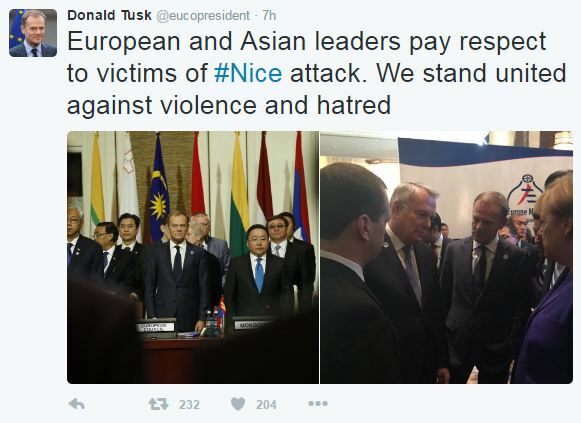 A terrorist gunman killed 84 people and wounded many when he drove a heavy truck at high speed into a crowd watching the Bastille Day fireworks in the French Rivera city of Nice, France. The Bastille Day is France’s national day. 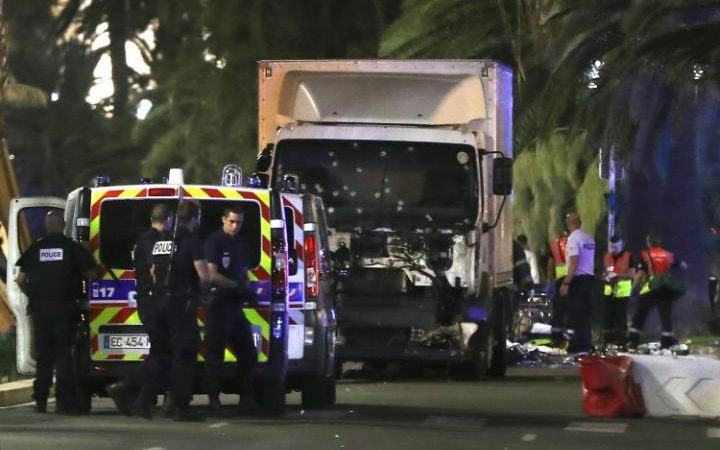 The Rampage Around 10.30 pm on Thursday, the driver drove the truck two kilometers through the festive crowd on the palm-lined Promenade des Anglais, sending hundreds fleeing in terror and leaving the area scattered with bodies. The truck was loaded with weapons and hand grenades. The truck driver was seen shooting from the window of the truck as he smashed into people. The killer was then shot dead by police with pictures showing his truck riddled with bullet holes. An ID card found in the truck belonged to a 31-year-old French man of Tunisian descent. Police authorities have confirmed that he was known to police for common law crimes, such as theft and violence, but not that of a terrorist. Responsible? It is not yet clear whether the incident was a terrorist attack and no group has yet come forward to claim responsibility. ISIS Twitter accounts have posted sickening posters celebrating the attacks. France has been in a state of high alert following a number of terror attacks claimed by ISIS on Paris and other French cities over the past year. As of yet, neither ISIS nor any other terrorist group has so far claimed responsibility for the attack. 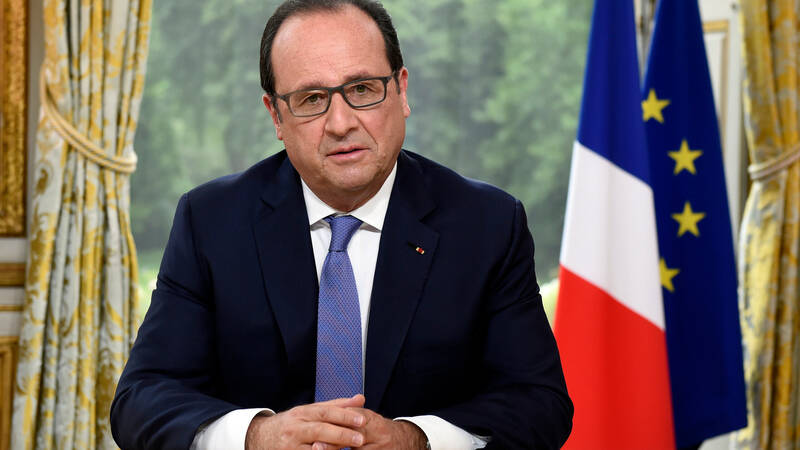 Reactions “France is filled with sadness by this new tragedy,” France President Francois Hollande said, noting several children were among the dead in what he said he had no doubt was an act of terrorism. Mr Hollande said the country's state of emergency would be extended for another three months and borders would be strengthened. Interior Minister Bernard Cazeneuve said 84 people died and 18 were in a critical condition, with many more also wounded. 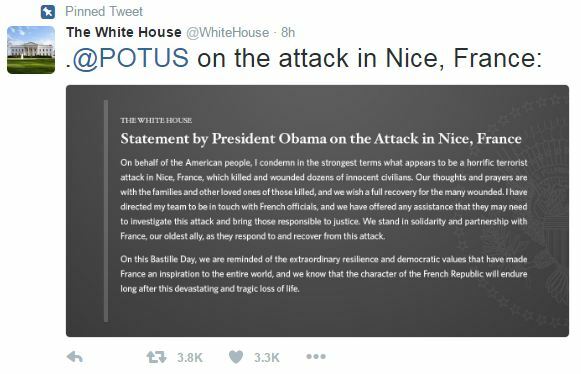 President Barack Obama said his "thoughts and prayers" were with the loved ones of those killed and wished those wounded a full recovery. 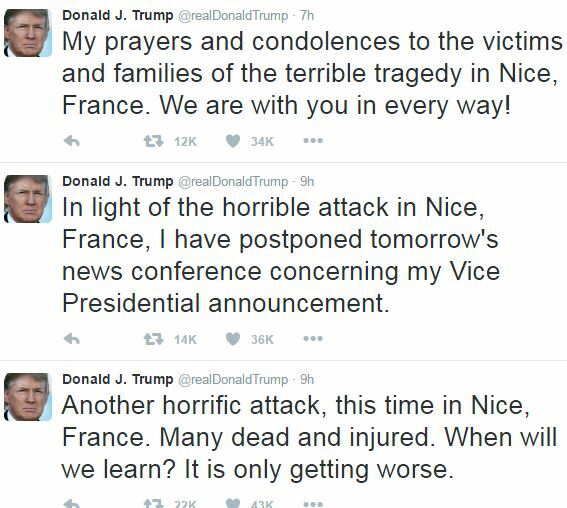 "We stand in solidarity and partnership with France, our oldest ally, as they respond to and recover from this attack," he said.